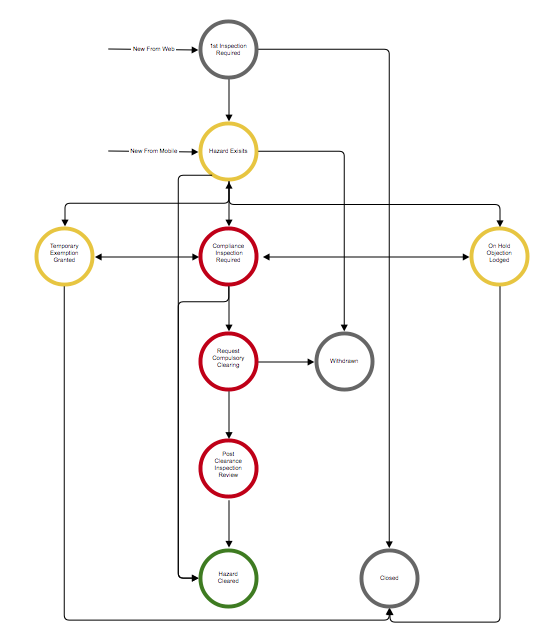 Crisisworks FPN is your complete system for managing the whole process from start to end. Crisisworks FY19 now includes Fire Prevention at no additional charge and available to all Victorian councils. Gain the benefits of a seasoned compliance system having generated tens of thousands of compliance notices over the past four years. 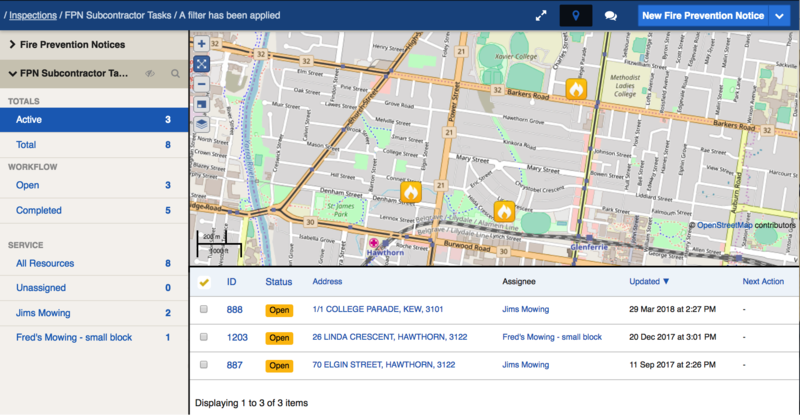 Since 2012, Crisisworks Fire Prevention has been used by 16 Victorian Local Governments. They have generated over 46,000 records with over 17,000 notices issues. During this time it has matured with features added to assist in making the whole process from start to end more efficient than ever before. Save money — no additional costs for the statewide standard FPN module. 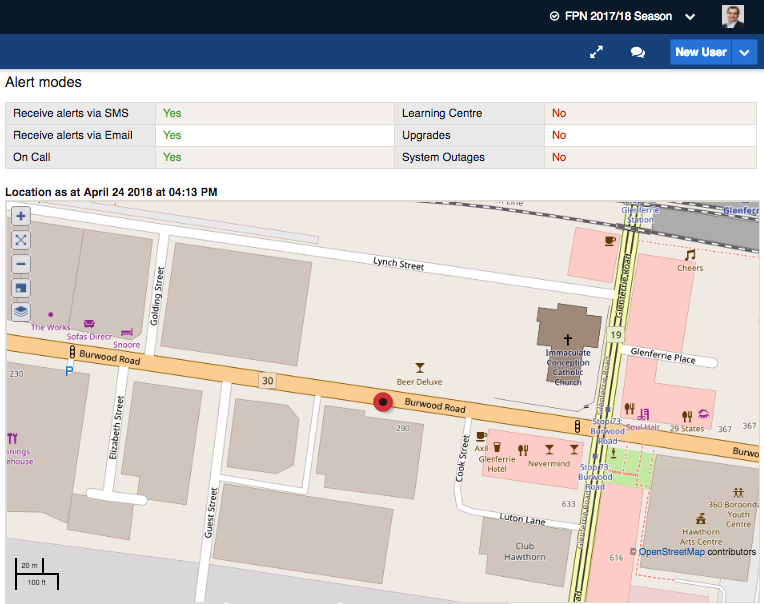 Increase accuracy — eliminate invalid notices and missing photos and record your inspectors’ routes as they drive, to provide a full audit in case you need it later. Relax — inspecting properties, keeping track of re-inspections, and managing and coordinating contractors takes time and effort. Crisisworks helps by providing full end-to-end workflow, in-field automation and contractor assignment and self-service to streamline the whole process from start to finish. Crisisworks Fire Prevention provides an end-to-end workflow across all phases of your fire prevention programme to help you prepare for, conduct and manage your fire prevention inspections and follow-up actions throughout the year. 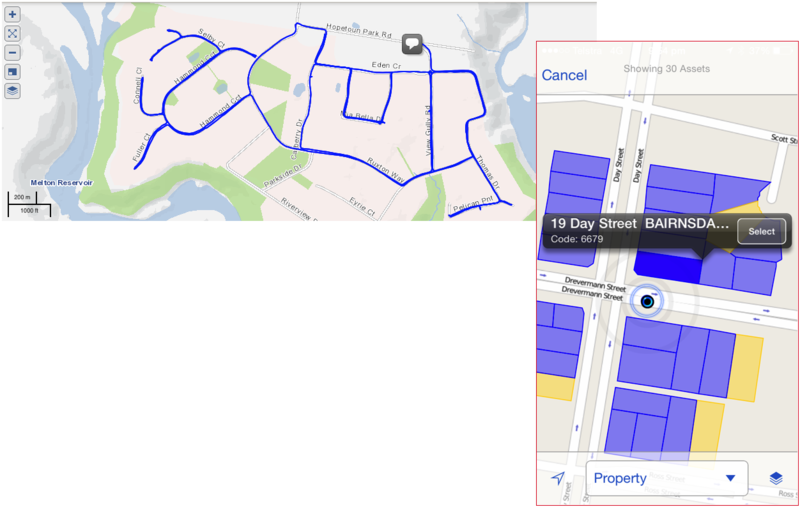 Choose to work with your own council property database, or use Vicmap property data. 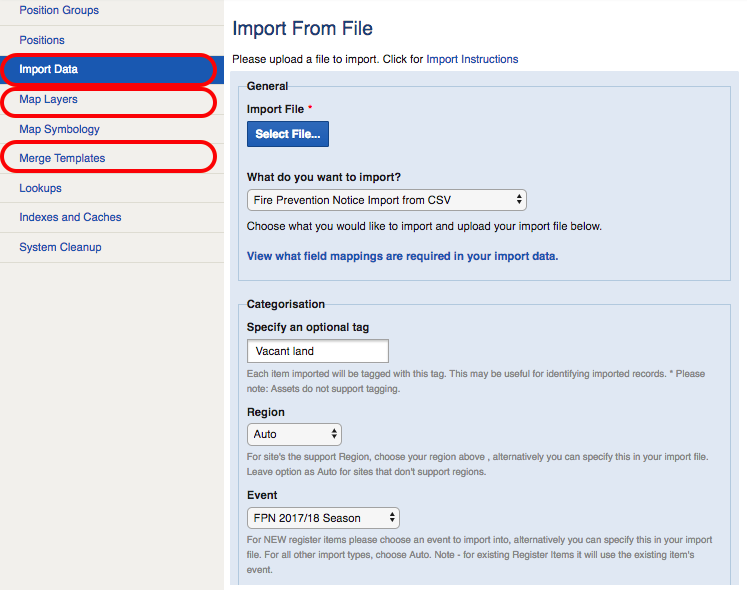 Optionally bulk import a list of properties you would like to inspect, such as previous offenders or vacant land. Organise inspection areas, schedules and officers. Upload planning overlays to support decision-making. Bulk-assign properties to officers based on areas or other criteria. The Crisisworks app works with iOS or Android devices in the field with forms, maps, photos and video, whether online or offline. View assigned inspections on a map or list, and get turn-by-turn directions. Automatically track and record your route while carrying out your work. Update your existing assigned inspections with evidence, manage the workflow, or issue new notices in the field. Select properties/assets visually from the map near you. Draw points, lines, areas on the map. Automatically schedule your re-inspection times based on the date the notice was sent, to ensure non-compliant properties are re-checked at the correct time. Issue infringement notices in the field or in the office. Customise and print your notices from within Crisisworks, or export/integrate with another system to mail-merge and print. Automatically escalate notices through a comprehensive re-inspection and compulsory clean-up workflow to ensure all hazards are addressed. Eliminate communication time and effort and increase accuracy with your contractors. For non-compliant properties requiring a forced clearance, assign to a contractor either in the field, or later from the office. Contractors can elect to receive SMS/email notifications for their tasks. Contractors use the Crisisworks app to effortlessly locate the property, capture photos before and after the job, and automatically mark the job for review when they finish their task. Coordinate your final inspections, or conduct them electronically using the captured electronic evidence from the contractor. The audit log provides a tamper-proof timestamped log suitable for court appearances. Track the location of your officers and contractors while in the field for safety. Import properties, parcels and inspections. 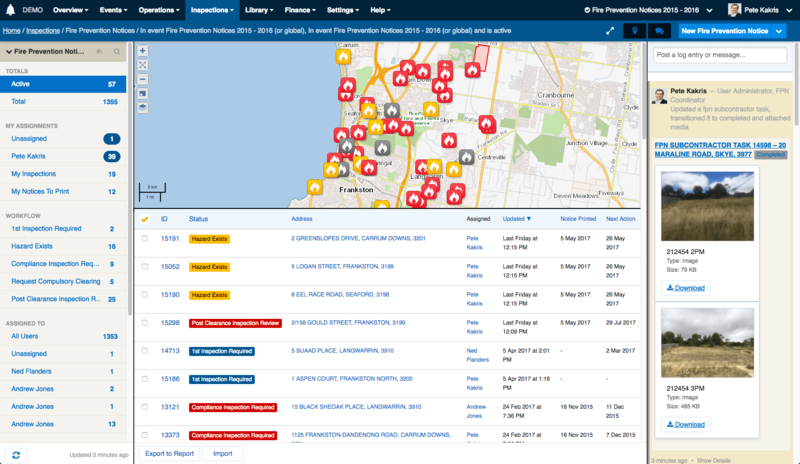 Upload map overlays such as Fire Risk Overlays to assist you with your planning. Crisisworks Fire Prevention provides a complete, end-to-end workflow to manage your fire prevention notices. 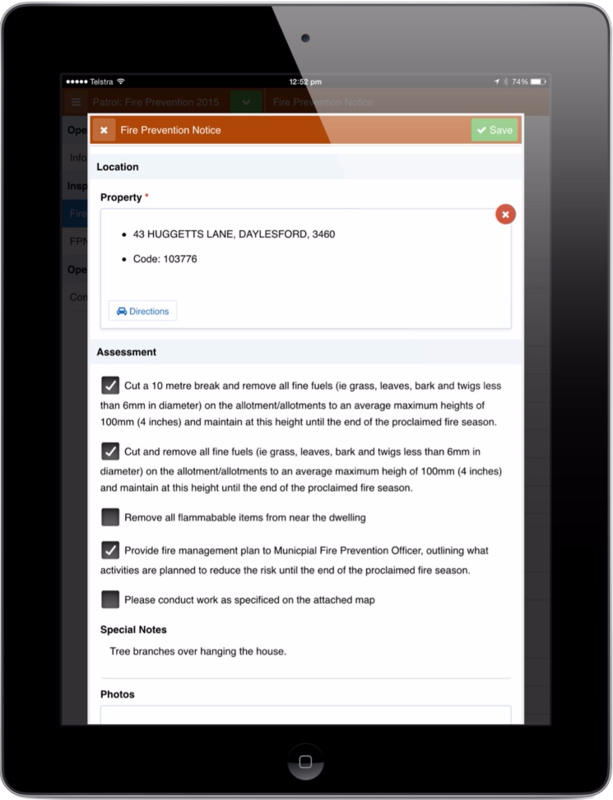 Crisisworks Fire Prevention technology has generated over 46,000 records with over 17,000 notices issued.